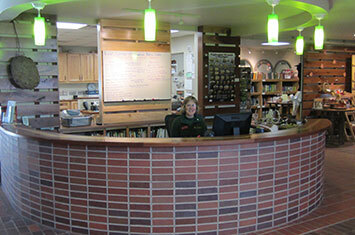 Open 7-days a week, the Visitor Center is a great starting-off point for your visit. Admission to the Visitor Center is free (except for Fall Harvest Festival, Nature Fest and Maple Syrup Day). 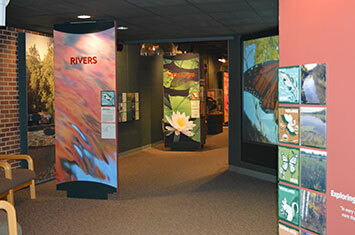 The Ecosystem Gallery provides an engaging overview of the four ecosystems found on the property. The plants, animals and people who have lived among them over time are featured as you travel through rivers, wetlands, fields and forests. Sounds stations, artifacts, murals, animal mounts and interactive stations welcome you to learn more about the nature of our region. Near the front of the gallery, you will find live native reptiles and amphibians. 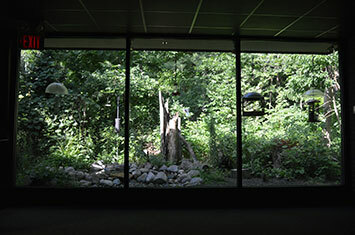 At the back of the Ecosystem Gallery is the Wildlife Viewing Area, where wild turkeys, squirrels and a variety of song birds stop for a snack at the feeders or a drink from the water feature, and which visitors can observe through one-way glass and hear through speakers from comfortable benches. 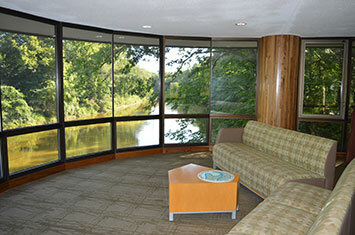 In the River Overlook, you can see our most impressive exhibit – the ever-changing Pine and Chippewa rivers. Look for bass nesting, muskrats snacking on vegetation, an owl on her nest or a deer crossing the river. 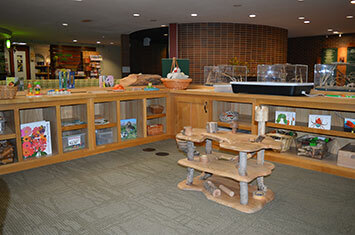 The Nature Discovery Area is a welcoming spot for our youngest visitors offering games, animal puppets, books, furs and more. We invite you to play alongside your children, or relax while they put on a puppet show!Above the Nature Discovery Area are mounts of caribou, moose and elk, allowing CNC to share the story of a few of the larger members of the deer family that lived in this area in the past. 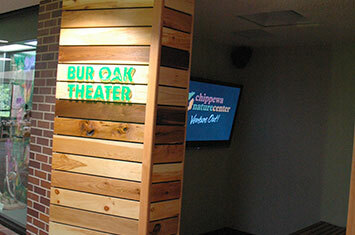 Stop by the Bur Oak Theater to select one of six short videos to learn more about farming, floods, seasons or the trails. A naturalist is available to answer visitor’s questions about the natural world in person, via email, by phone or through social media 7 days a week. 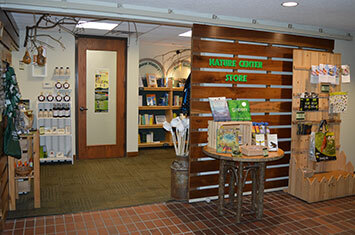 Take home a treasure from the Nature Center Store. Whether it is a new guidebook, a gift for a nature-loving child, or an item crafted by a local artisan, it will be a treasured reminder of your time here and a great way to support CNC. Just inside the front doors, check out the Little Free Library where you can leave a book for someone else to enjoy or take one home. 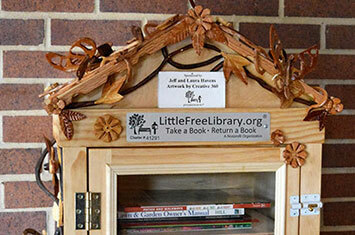 This library is part of more than 40,000 Little Free Libraries worldwide, and was supported by Jeff and Laura Havens and designed by Clester Croslin.